We are a leading Exporter of base oil from Ahmedabad, India. 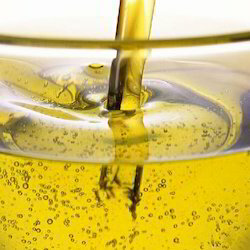 Our offered Base Oil has excellent chemical and thermal stability with high viscosity index. Furthermore, have properties of high solvency, means that they have a high tolerance to degradation by-products, which allows for the life of a lubricant to be extended.